The global cryogenic equipment market is expected to reach USD 25.05 billion by 2022. Stringent government initiatives and investments in emerging markets such as Brazil and India are expected to impel the product demand over the forecast period. Shale gas exploration has resulted in high natural gas production, thereby escalating demand in the oil & gas sector. Cryogenic equipment is widely used in LNG storage and transportation. LNG being an extremely low emission fuel is preferred by several regulatory bodies addressing environmental concerns, thereby driving the cryogenic equipment demand. Rapid industrialization has led to widespread adoption of this equipment in the metallurgy industry. Development in metal design has resulted in the development of enhanced techniques for handling liquids and is expected to fuel market demand over the forecast period. Tanks accounted for over 55% of the overall revenue in 2014. The need to store gases for several critical industrial processes as against conventional cooling lubricants (CLFs) is anticipated to drive the product demand over forecast period. Storage segment contributed over 65% of the overall revenue and is projected to display substantial growth with a CAGR exceeding 8% from 2015 to 2022. It provides a consistent and accurate temperature for storage and is expected to play a vital role in driving demand. Growth in the power & energy segment can be primarily attributed to rapid industrialization and several government initiatives. The segment accounted for over 20% of the revenue in 2014. Asia Pacific emerged as a dominant region with market size over USD 4.0 billion in 2014. The quest for Liquefied Natural Gas (LNG) in Asia Pacific is expected to drive growth over the forecast period, making it the highest revenue generating region. 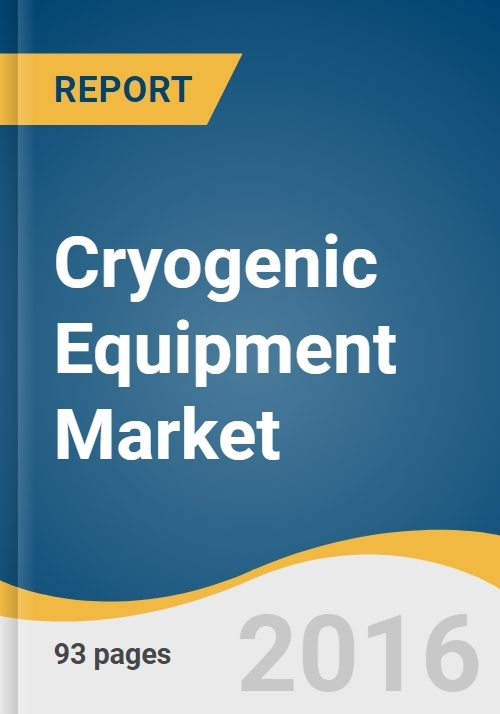 North America cryogenic equipment market is anticipated to experience significant growth over the forecast period. The North American food & beverage industry has witnessed a substantial growth over the last few years; a trend anticipated to provide an impetus for future market growth. Key market participants include Cryo pure, Packo Industry, Cryofab, Shell-N-Tube, Cryodepot, and Taylor-Wharton International LLC. Industry participants strive to focus on innovation and technical knowledge while simultaneously trying to own several patents and trademarks along with R&D activities. Purveyors abide by regulations such as DOE 6430.1A, DOE 5481.1B, DOE 5700.6C, CGA Pamphlet P-1, CGA Pamphlet S-1.1, ASME, and ASME B31.3 to manufacture safe and functional equipment. 9.5. Cryogenic Equipment & Services, Inc.
9.6. Cryogenic Systems Equipment, Inc.